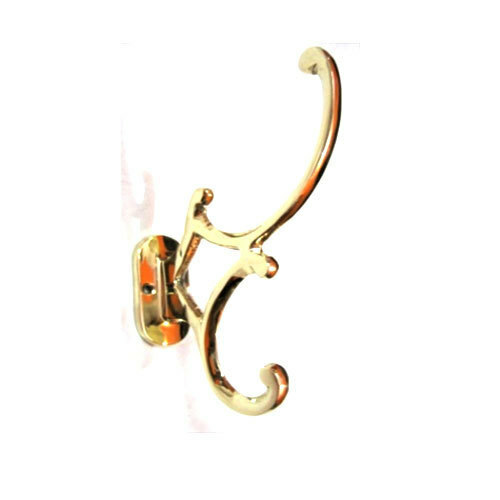 With the help of adroit team, we present an extensive series of Brass Coat Hook. Our products are available in varied specifications that meet on consumer’s demand. Established in the year 2012, Nazim Sons is successfully ranked amongst the remarkable manufacturing and Exporter of Brass Hooks, Aluminium Hooks and much more. The provided range of products is designed and developed by our vendors’ talented professionals in line with latest trends of the market. Besides, we provide these products at economical rates. Under the supervision of our mentor Mr. Zakir Hussain, we have carved a reckoned position for ourselves in the industry.